Paris is one of Europe’s most dynamic capitals and is visited by millions of tourists every year. When visiting Paris you can be assured you will experience the best in top gastronomy, high end fashion, chic cafes and luxury hotels. With over 70,000 hotel rooms and over 1500 hotels, finding that perfect luxury hotel in Paris can be like looking for a needle in a haystack. 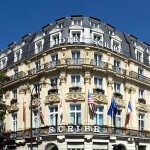 So, whether you are looking for a luxury hotel in Paris for a romantic getaway, a honeymoon, or maybe just because you are worth it, you will find that perfect Paris hotel from our list of researched selections of the best and most popular luxury hotels in Paris. Hotel De Vendome is situated in the heart of Paris, and offers its guests outstanding comfort and luxury in one of Paris’ most exclusive neighborhoods. The Opera and the Louvre Museum, as well as other major Paris landmarks are also close to Hotel De Vendome, together with Paris’ most exclusive haute couture, jewelry shops and antique dealers. All of the 19 rooms and 10 suites offer unique decor , antique furniture and bathrooms are entirely made of rare marble. Rooms all fully equipped with the latest amenities including air conditioning, heating, anti vapor mirrors, hairdryer, direct dial phone, wireless Internet connection, LCD flat screen TV, Satellite TV, DVD players and electronic safe. 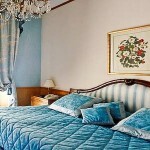 Rooms at Hotel De Vendome are soundproof and non-smoking rooms are available on request. Hotel facilties include 24-hour front desk, 24-hour room service, personal waiter and concierge. Credit cards are accepted and currency exchange is available as well as city tours, city guides and maps . Hotel De Vendome also offers a secured car park, baby sitting services and has access for disabled guests. Ever Dreamt of Spending a Whole Year in a Hotel? Previous post: Turkey Cruises – What is a Blue Cruise in Turkey?